Isaiah 8:18 – Here am I and the children whom the Lord has given me! We are for signs and wonders in Israel from the Lord of hosts, who dwells in Mount Zion. I wish you a very happy and glorious new year. 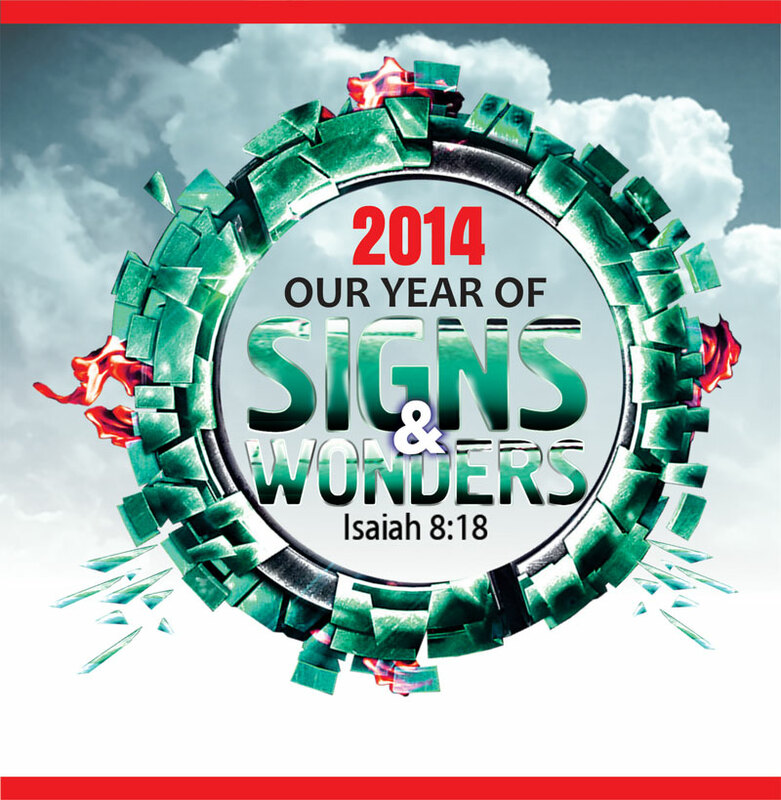 In the last few weeks the Lord has been impressing in my heart that 2014 will be our year of signs and wonders. So I think, it is wise to start the year by examining the subject. Signs and wonder– what are they? And who is the source of true signs and wonders? Who should display signs and wonders? First, it is important you know that that God is the source of true signs and wonders. Signs and wonders do not occur by themselves they are the by-products of God. Before we go any further, my charge to you is to focus on the source and not the resource. The Greek word for a sign is semeion. It means a token (autograph attesting to the authenticity of a thing), divine authority and power, mark, indication to distinguish a person or thing from others. Signs appeal to the understanding, wonders appeal to the imagination. Wonders (Teras) – something strange, causing the beholder to marvel, amazement, mighty work or thing. The above scripture in Isaiah is full of meaning. The book of Isaiah is called by some scholars as the fifth gospel and the bible in miniature because it is reveals salvation comprehensively. Maher-Shall – Hash –baz – The looting will come quickly, the prey will be easy, (quick to plunder, swift to spoil). The above scripture in Isaiah 8 implies that Isaiah and his children are to serve a strategic purpose. They are created to be symbols of God’s quick and amazing deliverance to the people of Israel. The scripture is also prophetic because it also speaks of Christ and the church. In the book of Isaiah 7:14, the birth of Jesus is called a sign. His life was full of signs and wonders. He healed the sick, he cast out demons, he stopped the storm, he raised the dead, he multiplied food and fed thousands, he forgave his enemies and died for sinners, he rose from the dead to justify us and connect us back to God. He currently makes intercession for us before the father. Jesus is amazing! Mark 16:17 declares that the Christians are carriers of signs. We carry and show God’s presence and bring deliverance to people and we do it with ease and swiftly. We are signs after the order of Christ. There are natural signs and there are also supernatural signs. We are supernatural signs and we bring extraordinary wonders from God our father to our world. The bible recorded in the book of Acts that signs and wonders were wrought by the hands of the apostles. Jesus told them before his departure that the disciples would do the same works he did and greater works and they did. We have the same commission and assignment. We are destined to be followed by signs and wonders so we are meant to expect and activate them. Some of the ways to activate signs and wonders include making Jesus Christ our first priority, consistent meditation and declaration of God’s word, acting on God’s and expectation without fear, receive direction from the Holy Spirit and avoid unforgiveness. 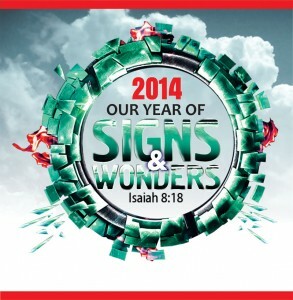 I am created for signs and wonders therefore I will do signs and wonders. I will point people to God and bring God to them. I receive my assignment and I fulfil my purpose as a sign and a wonder. I forgive anyone that has offended me and I release them. I will not fear rather I will be as bold as a lion and I will possess my possessions in Jesus might name. Who or where is the source of true signs and wonders? Are signs and wonders source or resource? Do you know you are a sign and a wonder? How would you activate signs and wonders?